Contributing editor Mark Bourrie weighs the ethics of the ethical oil boosters — and the power of the Saudis. 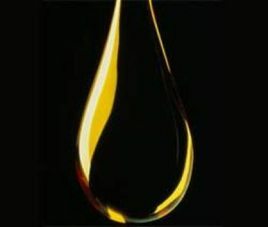 Ethical oil. It kinda makes sense. Get North America off the oil pumped by ugly regimes like Saudi Arabia and the emirates of Kuwait. Stop paying gobs of money to Hugo Chavez’ commie regime in Venezuela, the kleptocrats in Nigeria, and various other scum and vermin around the world. Scraping more oil out of “unconventional” sources in North America doesn’t solve the energy crisis or reduce pollution. Only a serious attempt to cut demand will do that. The most obvious solution is to re-design the car, ditching its century-old technology of a cast-iron internal combustion engine and a sheet steel body for technology that’s more efficient, and materials that are lighter and stronger. The cost of oil — the real cost in war, corruption, environmental degradation, human rights abuses, bad foreign policy decisions, taxpayer-funded infrastructure — has always been far, far more than the dollars-per-barrel price. But, until we fix the car, we’re stuck with oil wells, gasoline, petrodollars, and all the trouble that comes with them. Ezra Levant coined the term “ethical oil,” comparing crude from Canada with oil from repressive regimes. He built the argument for a best-selling book around the convincing notion that western consumers are subsidizing regimes like Iran, Saudi Arabia and, back in the day, Gadhafi’s Libya. These are not nice places, especially if you’re one of those old-fashioned people who believe in a free press, fair trials, women’s rights, and has issues with secret police and torture chambers. But we’ve always turned a blind eye to that stuff in a way that’s racist. Women’s rights are essential for our women. They clawed those rights from a patriarchy that, until a century ago, would not let women vote, denied them the opportunity to work outside the house, refused them reproductive rights, and, in some provinces, own property in their own name. Those rights were enshrined in our common law and constitution. But in Saudi Arabia, they don’t exist. But, hey, that’s just their way of doing things. While women’s rights are fundamental here, they’re a frill in much of the oil-producing world. And no one makes much squawk about that anymore. 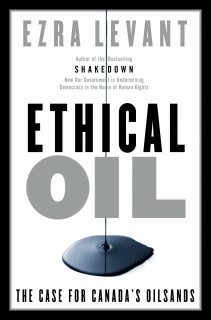 Now, the “ethical oil” crowd may be on a less solid footing when it comes to the environment, though I’ll make up my mind on that when I see convincing, empirical data that includes the amount of natural gas burned off in Iranian, mid-east and north African wells and the amount of spillage (both in the shipping process and losses from shipwrecks and bilge pumping). The ethical oil campaign, which has now been adopted by the Alberta petroleum industry, drives environmentalists nuts. They claim the ecological damage done by oil sands quarries outweighs any other concerns. Last week, environmentalists protested in front of the White House against proposed Keystone pipeline. The signature image of the event was the arrest of Daryl Hannah. Next week, the protest comes to Ottawa. Meanwhile, the Saudis have complained about an industry group’s ethical oil commercials on CTV, and their legal threats have, apparently, knocked them off the air. The commercials talk about women’s rights — actually, the lack of them — in Saudi Arabia. Rather than fight whatever ludicrous and expensive litigation might be launched by the Saudis, CTV rolled over. So now the Saudis not only censor their own media, they censor ours. And, whether you buy the idea of “ethical oil” or think the environmental cost of the oil sands is too high, the fact that Canadians, in Canada, cannot talk about the issue because of Saudi displeasure should be more than a little scary.